Only recently has open innovation research emphasized the relevance of adopting a project-level contingency approach for explaining inbound sourcing choices. Our research aims to add to this issue by providing new insights on the knowledge-based determinants of sourcing decisions at the project level of analysis. We maintain that a new product development (NPD) project can be conceived as a strategic means not only to explore the knowledge space for the identification of high-value solutions, but also to search the sources that enable the firm to develop the specific knowledge features. 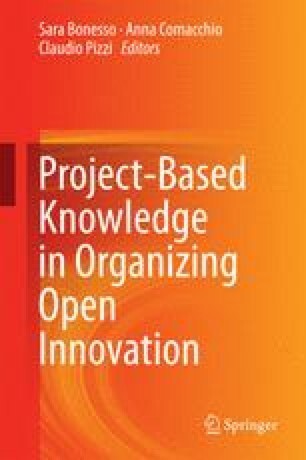 We suggest that the knowledge space explored by an NPD project is grounded on the main elements of an industrial innovation system and that it is characterized by two key dimensions, namely knowledge novelty, the knowledge space of the performance features of a product that meet new customer needs, and knowledge breadth, the knowledge space of technological domains to draw on for solving product-related problems. Our research is implemented on a sample of NPD projects carried out by a group of leading Italian firms, operating in the machine tool industry. Findings show that in companies which define sourcing on a project-by-project basis, projects that explore at the frontier of either novel product features or heterogeneous technological domains, spur firms to rely on external sources and to choose R&D development agreements as the governance form to involve partners. Moreover, a high degree of knowledge novelty induces firms to search cognitive distant partners instead of similar ones. Proposing a project-based approach to strategically organize inbound sourcing, the chapter provides evidence on the concept of a company sourcing strategy as a portfolio of decisions across projects.